Available mid-week and weekends throughout the year. Not available for Saturday or Sunday start. This five day Rhône and Lyon break offers a great introduction to the Northern Rhône, giving you the opportunity to spend a few nights in Lyon, also known as the City of Lights, and to discover its unique local cuisine. 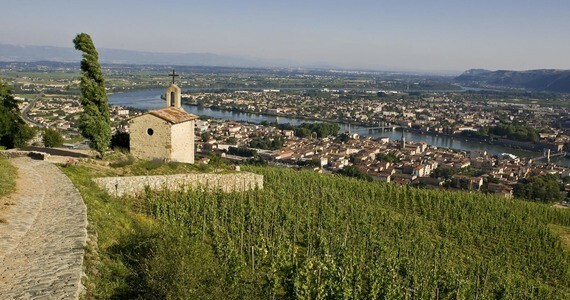 The second part of your trip will be spent in Tournon-sur-Rhône and Tain l’Hermitage where you will taste some renowned local wines surrounded by picturesque Northern Rhône vineyards. Upon arrival in Lyon, check into your Classic room at the 4* Hotel Globe et Cecil. 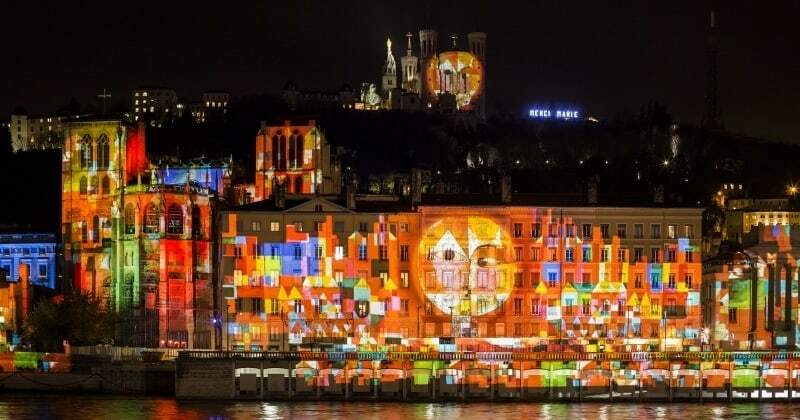 The hotel is ideally located at the heart of Lyon city centre and gives you an easy access to Lyon’s main sights, as well as a superb range of shops, bars and restaurants. In the evening, we will arrange a three course dinner with drinks in a traditional Bouchon Lyonnais for you. 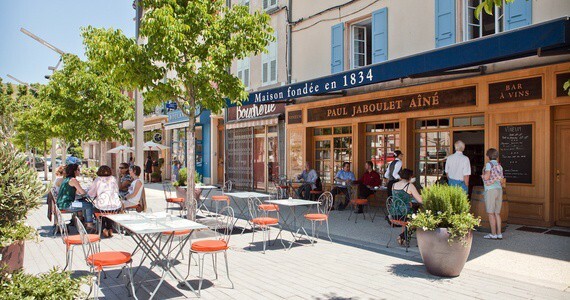 A Bouchon is a type of restaurant specific to Lyon which serves traditional Lyonnaise cuisine in a convivial atmosphere. After breakfast on day two, meet a local guide at a central departure point in the centre and enjoy a four hour gourmet walking tour of Lyon. You will discover the historic district of the old Lyon with its peculiar passageways called Traboules. From the latin word “to cross” these were used for centuries by the inhabitants of the city and by the silk workers to transport textiles between the workshops and the merchants. 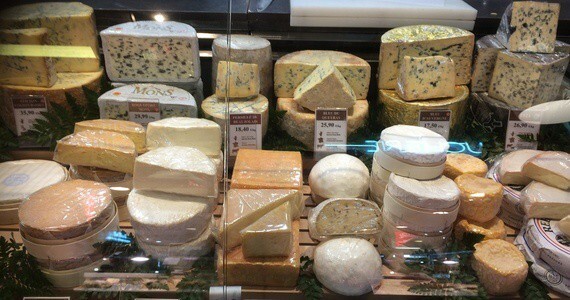 During the tour, you will also be taken to several shops to taste delicious local delicacies. The remainder of the afternoon and evening will be free for you to do as you please. 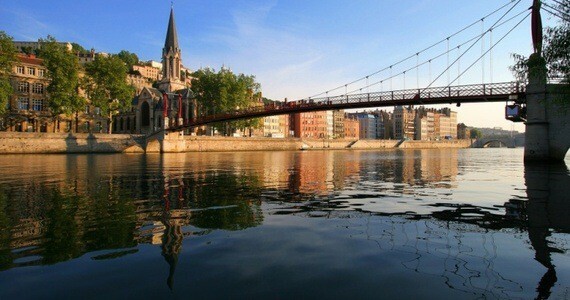 You may wish to further explore Lyon independently. Alternatively you may prefer to relax at your hotel. Please do not hesitate to contact us if you would like us to suggest activities for the afternoon or a restaurant for dinner. After a leisurely breakfast and check out on day three, check out of the hotel. Make your way to Lyon-Part-Dieu station and board the 14:20 train departing from Lyon-Part-Dieu and arriving in Tain l’Hermitage at 15:19. You will travel Standard Class. 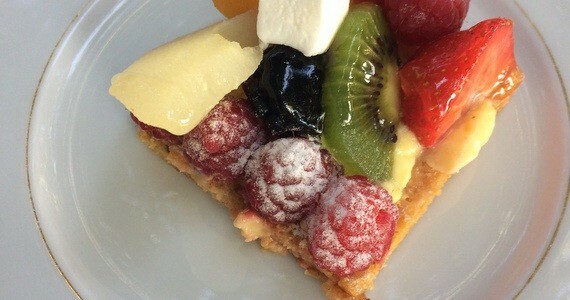 Check into your Comfort Superior room at the 4* Hotel la Villeon in Tournon-sur-Rhône. The hotel is located across the river from Tain l’Hermitage and has spectacular views over the Hermitage Hills. The walk between the station and the hotel is just over 15 minutes. If you do not wish to walk, there will be taxis waiting at the station. The evening will be free for you to do as you please. In your travel pack will be a comprehensive list of recommended restaurants. We would be very pleased to reserve you a table at any of these for dinner. On day four, make your way back across the bridge to the quaint little town of Tain l’Hermitage. 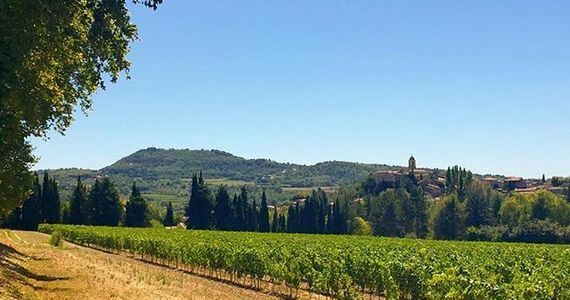 Here, you will enjoy a guided tour of a prominent local winery, seeing first-hand the fascinating wine-making process, followed by extensive tastings of their wines. You will then be welcomed at the Paul Jaboulet Aîné boutique. 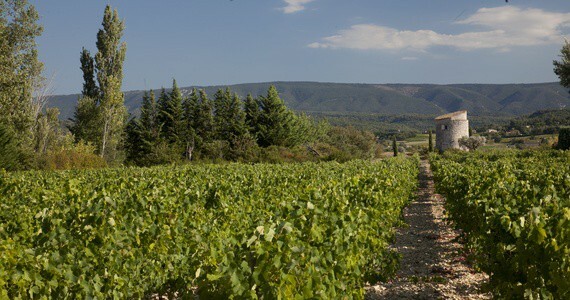 One of the biggest names in the Northern Rhône and producer of the world-revered “La Chapelle,” this estate has been making highly sought-after wines for almost two Centuries and you will have the opportunity to taste six different wines; reds and whites from both the Southern and the Northern Rhône. A three course lunch with a further two Jaboulet wines will then be served. After lunch, enjoy a tasting session of five Syrah wines at the prestigious Chapoutier. Upon arrival in Lyon, check into your Classic room at the 4* Hotel Globe and Cecil, ideally located in Lyon city centre. In the evening, enjoy a three course dinner with drinks at a traditional Lyonnais Bouchon restaurant. In the morning, enjoy a four hour walking tour of Lyon including stops at local shops to taste delicacies and emblematic products of Lyon’s gastronomy. You will be accompanied by an entertaining local guide and there will be a maximum of twelve people in the group. 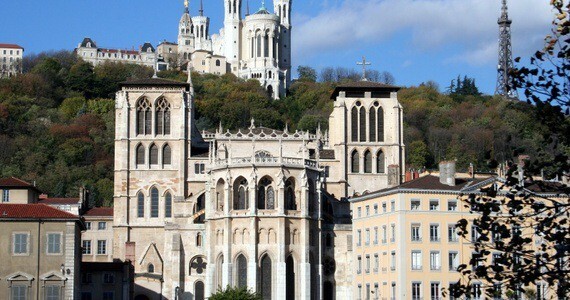 After such an enlightening morning, the remainder of the day will be free for you to further explore Lyon independently. Please do not hesitate to contact us if you would like us to suggest activities for the afternoon or a restaurant for dinner. Board the 14:20 train departing from Lyon-Part-Dieu and arriving in Tain l’Hermitage at 15:19. Check into your Comfort Superior room at the 4* Hotel la Villeon, located in Tournon-sur-Rhône, just opposite Tain l’Hermitage. In your travel pack will be a comprehensive list of recommended restaurants. We would be very pleased to reserve you a table at any of these for dinner. 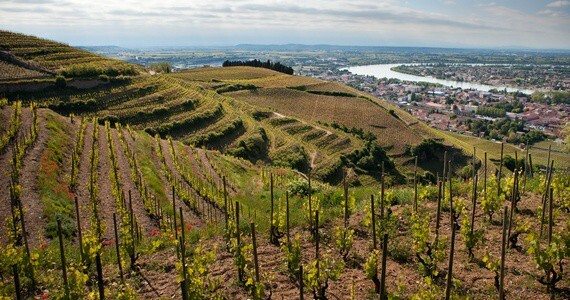 In the morning, enjoy a tour and tastings at a prominent local winery in Tain l’Hermitage. 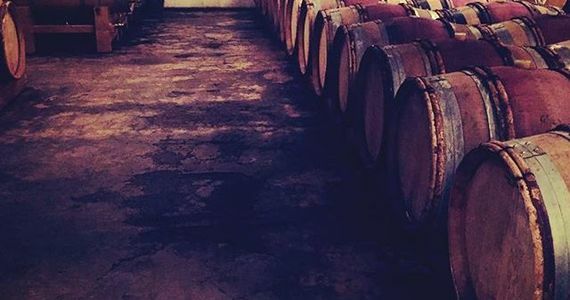 You will then enjoy an insightful tasting session of six Northern and Southern Rhône wines, both red and white, at the Jaboulet tasting boutique. 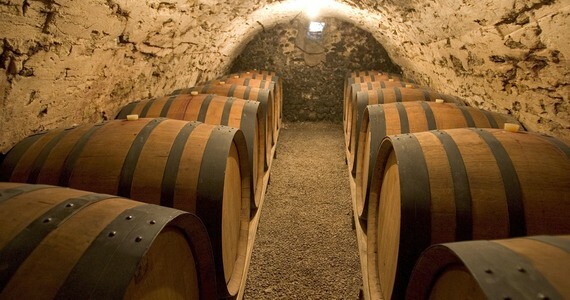 After lunch, enjoy a tutored tasting session of five Syrah wines at the prestigious M Chapoutier. Once again we would be delighted to reserve you a table for dinner if required. Low Season discount: Please contact us for low season prices if you are travelling in January, February, March, April, May, October, November or December. 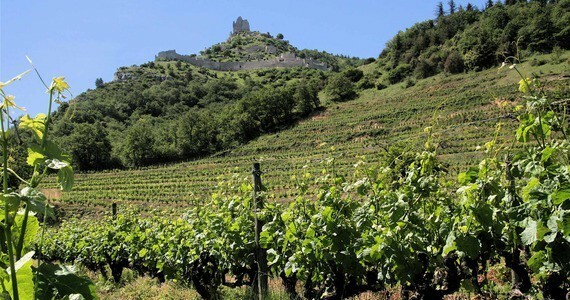 The price of this package doesn’t include travel to Lyon and Tournon-sur-Rhône. Please see our travel page for further information. The trip was a wonderful success. Thank you so much for your assistance in planning such a memorable and special journey.